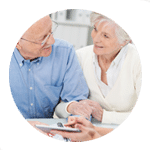 Beacon Aged Care and Retirement Advisers work exclusively in the aged care and retirement sector, providing tailored financial planning solutions throughout Brisbane and South East Queensland. We guide families and retirees with solid financial strategies to support the living arrangements they need. Transitioning yourself or a loved one into retirement living or aged care is never easy. Making these decisions, and deciding how to fund them long term, can be stressful. Legislation and entitlements for support can be complicated and change regularly, and it’s sometimes hard to know what your options are. Our advisers offer clear advice, when and where you need it. If you’re in South East Queensland, our advisers will come to you. We travel throughout Brisbane, Toowoomba, the Gold Coast and Sunshine Coast. We also offer phone and video consultations to families in other parts of Australia. We meet every family with caring and compassion to help them confidently make decisions for the future. 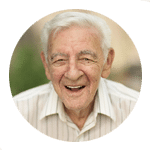 We’re experts in residential aged care financial planning and can help you understand your options to get things underway quickly. If you’re considering moving into a retirement village, start with smart advice. 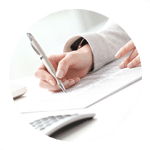 Our expert advisers can help you confidently plan your financial future. A home care package could provide exactly the right balance of care and independence. 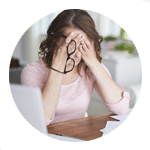 We’ll help you navigate the process to secure the support you need. Our fees start at just $1,210 (including GST) for aged care advice. Our fee is all inclusive, without any hidden charges, commissions or agendas. You’ll get the answers you need at the time of your appointment, and a scoped report within the following 72 hours. Our advisers realise that some decisions need to be made urgently and will help you move forward confidently. Experts that come to you. We know that travel can sometimes be difficult, which is why our advisers will meet you where it’s most convenient. Whether you’re at home, hospital or a care facility, our advisers travel throughout South East Queensland. We also offer phone or video conferences for clients throughout Australia. Aged care and retirement specialists. 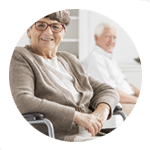 Our expertise in the aged care and retirement sector goes beyond the financial. Our understanding of care options, legislation and support available from Centrelink and the Department of Veteran Affairs (DVA) ensures our clients achieve the best living arrangements possible. Guidance with paperwork and red tape. Our Centrelink and DVA specialists will guide you through the process, helping you complete the required forms to ease any stress or confusion.